This Autopower street-sport roll bar gives your car a performance look with style. The design allows rear seats (where applicable) and interior trim to remain in place. This is not a "style bar"! A two-step high gloss black paint finish is applied to each roll bar. - AUTOPOWER manufactures a variety of roll bars and roll cages for street vehicles and all out racecars. Every roll bar or cage has been designed to fit specific car models so only minor modifications are necessary for the installation. Most applications are true bolt-in and require No Welding. A great amount of time has gone into developing and perfecting each product to offer the utmost in strength and proper fit. - Autopower's rollover protection is designed to meet high quality control standards. 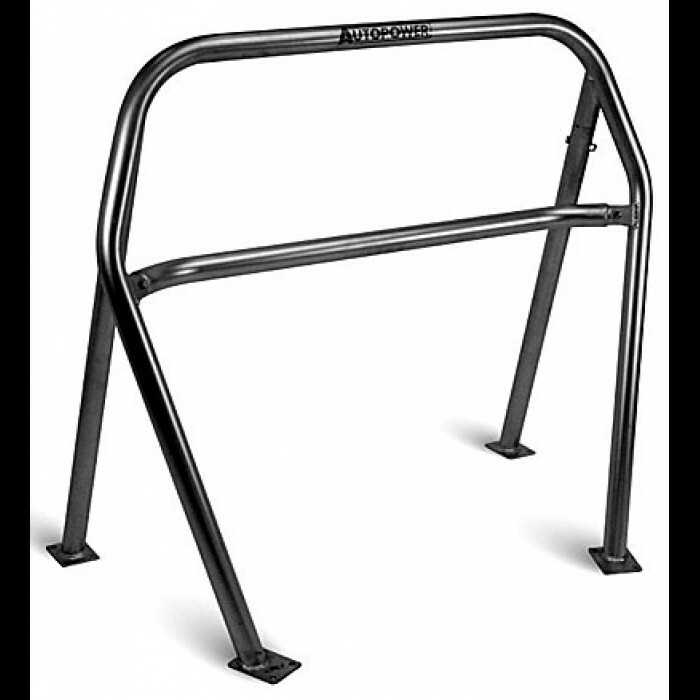 All of Autopower roll bars and cages are now are made of DOM tubing that is MIG welded in precision welding fixtures. 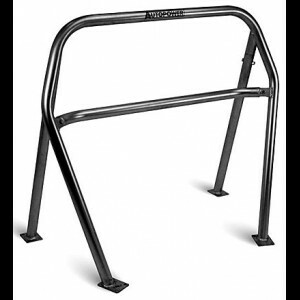 Race Roll Bars for cars weighing over 3500 pounds are made with 2.00" x .120" ERW tubing.